Isn’t it a little strange that Will Ferrell movies perform well in America, but they generally flop overseas? Even though comedy can be traced all the way back to Aristotle, for some reason it remains one of the primary genres—in terms of movies, TV shows, books and other mediums—that fails to translate well into other languages. Lucky for German learners, a new type of humor is available to assist those who want to joke around in German. I’m talking about memes, the goofy images you see with only one or two lines to make them either funny or flops. The interesting part is that memes written in German aren’t nearly as popular as those made in English, so the process is a little tricky. 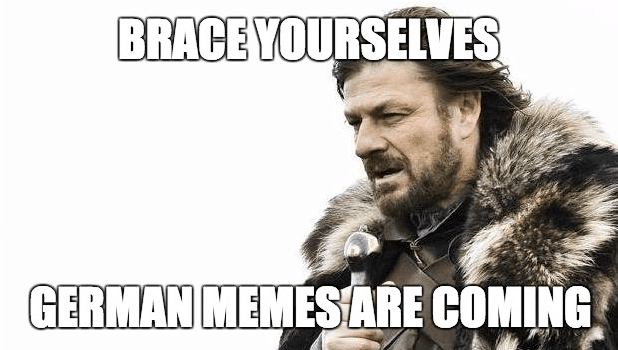 However, I’ve put together a list of six resources—each of which provide hilarious, or even thought-provoking German memes through which you can learn German humor. What’s more, I’ve offered a favorite meme from each source for you to get started and understand how they work. Keep reading to take a few steps forward to German fluency, since you can bet that you’ll eventually encounter a German joke during your learning process. Seriously? 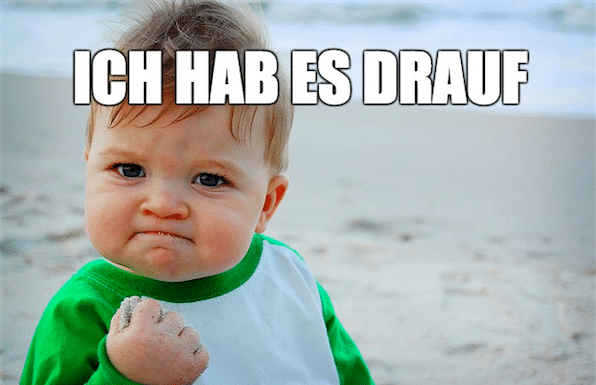 Can German Memes Really Help My Language Learning? You bet they can. Memes provide a quick and hilarious way to brush up on quick phrases, jokes and vocabulary. Many of them use images referring to recent or past events, offering a unique look into what Germans are talking about and laughing about right now. Not to mention, Germans enjoy their beers and their jokes, so a huge part of fluency is viewing and understanding how these jokes are pieced together. As discussed above, it’s tricky to comprehend a joke in another language, since they often don’t translate well (Will Ferrell’s “Talladega Nights” reeled in $148 million from the US, but only $14 million from the entire international community). For example, a pun requires you to translate the initial joke, but also think about the other German word the phrase is referring to. So, some memes are like brain busters, causing you to really work your mind—but it’s worth it if you’d like to have fun with your fluent friends. Memegen is a meme generator, which primarily lets you create your own memes, but you can find a solid collection of the most popular memes on the German version. Feel free to search some of the other categories besides the popular ones, but I think the funniest, and most useful ones are collected in the “Trending memes” section. One item to point out with this meme is that the translation comes in a little fuzzy with all capital letters. Since the “Hab” is capitalized, it may confuse you to think the meaning is actually “I have it on it,” which doesn’t make much sense. It’s implied that the readers know which letters are capitalized based on the context. I would argue Pinterest is your best bet for finding German memes, since it’s a huge collection of categorized memes that you can search for by keyword. I searched for “German memes” and dozens of options came up, including the linked example below. Another translation for Mir reicht is “I’ve had enough,” which still works well in the statement, but it’s important to hone in on the context to not only make the statement funnier, but to understand it better. 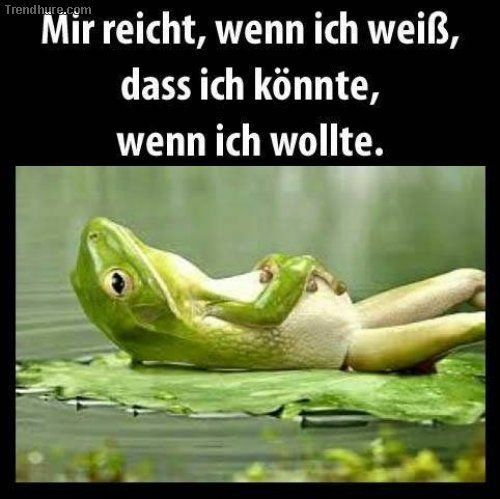 This is a wonderful example of the German subjunctive mood, focusing on the past tense. The Meme Generator site offers more tools for designing your own memes (which also may serve as good German learning practice), but the “Popular Memes” page has a nice selection of pre-built German memes to look at. A Facebook group serves as a solid way to see an ongoing collection of posts, and this one focuses on students and younger people in the Schwäbisch town in Germany. Keep in mind that many of them are a little vulgar. Schwäbisch is also considered a dialect of High German, so the memes might be a little tricky to decipher, but they provide a nice look into a whole different way to speak German. Dogs make memes more interesting, so one meme stands out on this site, which everyone can relate to. It shows a dog looking as if he’s sitting and using a computer. The dog says, “Windows 10? 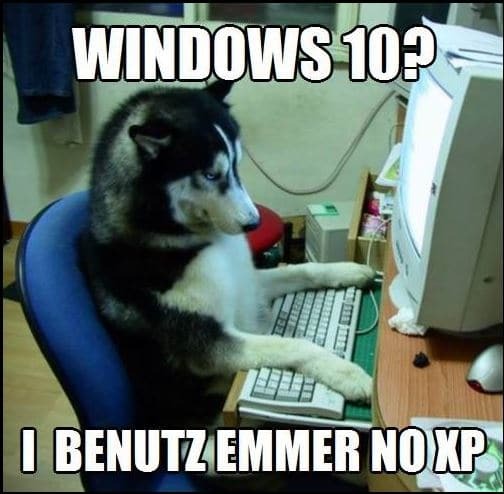 I benutz emmer no XP,” which has a rough translation to “Windows 10? I’m still using XP.” In terms of cultural significance, the meme shows that Germans are rather tech and business oriented, bashing companies like Microsoft and Apple. Another unlimited meme searcher, the German Google Image Search, brings up plenty of memes based on categories if you click on the titles at the top of your search. Just a quick search revealed that they have categories for Spongebob, Hitler, Merkel and other funny memes. Google Images works well for beginners, seeing as how this statement is fairly rudimentary. It’s a nice example of how the verb changes with the “I” subject. As a second Facebook meme page, this one has a more general approach with cartoons, pictures of people and more. This is a handy resource since most of the memes don’t use strange dialects or weird variations of regular German words. 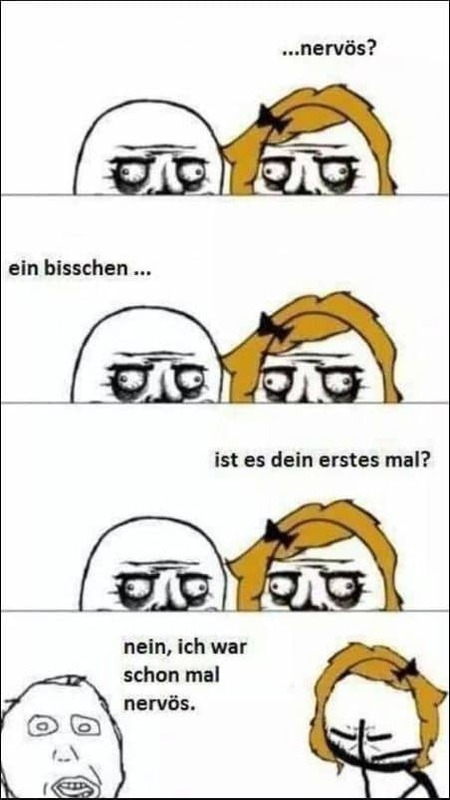 A favorite of mine from the Deutsche Meme Comics page is a series of interactions between a girl and a guy. The girl asks “…nervös?” (…nervous?). The boy replies with “ein bisschen…” (a little…). Word play is a common theme in German humor, and this meme from Deutsche Meme Comics shows perfectly how they can turn a somewhat racy statement into something funny. As you can see, some German memes are easy to translate and understand the jokes, but others use Internet slang, jargon or even varying dialects, forcing you to search around and learn what they actually mean. You may even have no problem with the translation, yet the humor doesn’t translate. Regardless, the hunt is part of the fun, so enjoy brushing up on your German humor skills with some of these silly German memes. If you’re eager to keep learning German with fun, authentic content like the memes above, you’ve got to try FluentU.